Although buying a great pair of basketball shoes can significantly improve your game, finding the perfect pair takes some effort. 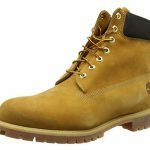 Your new shoes should have excellent traction, foot and ankle support, and a durable upper. Most basketball shoes come with higher price points, which can be a tough investment if you are on a budget. 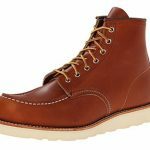 There is no reason why you should have to pay an excessive amount of money for a quality shoe when there are plenty of budget-friendly options available. We have ranked the best basketball shoes priced under $50. You’ll be surprised that most of the top athletic footwear companies manufacture them. Adidas is one of the most popular companies for athletic footwear, but their reputation comes with a price. The quality construction of their shoes makes them more expensive. 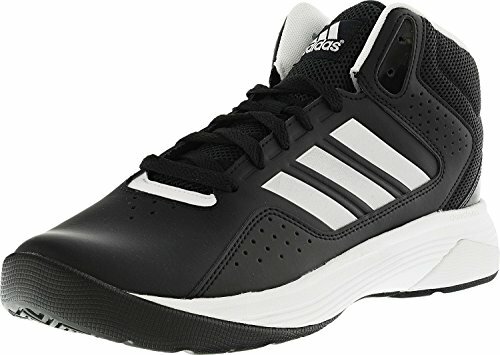 However, the Adidas Performance Men’s Crazy Bounce Basketball Shoes is one of the company’s most budget-friendly options. The company designed this high-top basketball shoe for serious players. The textile upper breathes well during long games, and strategically placed synthetic leather overlays support your ankle and heel. The Adidas Performance Men’s Crazy Bounce Basketball Shoes are one of their most comfortable models. A TPU midfoot sole stabilizes your foot during play, and the BOUNCE support system provides bounceback for those great slam-dunks. Excellent traction on the bottom of the rubber outsole makes them perfect for indoor or outdoor play. These shoes run narrow and large, so they are better for men with thin and long feet. If you have a wider foot, you should order a size up. The Crazy Bounce may feel heavy on the first wear, but you will get used to their weight during the mild break-in period. 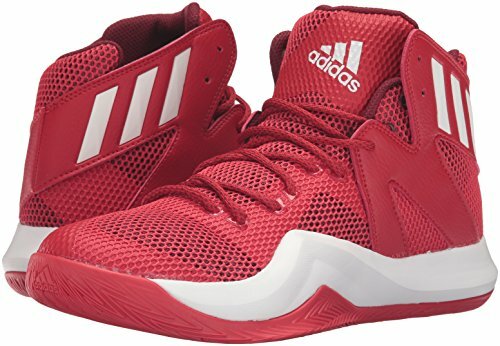 Only select sizes and colors of this shoe are available for under $50, but you will more than likely find a bargain in this Adidas basketball shoe. The comfort and durability of the Adidas Performance Men’s Crazy Bounce make it our choice for the best basketball shoe available for under $50. Champion is another company known for their excellent athletic wear, from activewear to sports shoes. The Champion Men’s Inferno Basketball Shoe is a slip-on basketball shoe designed for comfort on the court. With a fabric and mesh upper that moves with you, it has a convenient heel pull tab for quickly putting on your shoes before hitting the game. 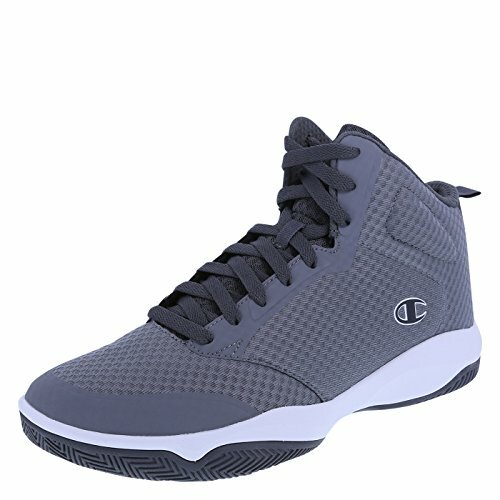 A padded collar and insole cushion your feet in this lightweight and flexible basketball shoe. If you need more foot or ankle support, the insole removes for a custom insert or orthotic. Although the Champion Men’s Inferno is a well-made shoe for playing the sport that you love, it does have some drawbacks. There is poor ankle support, so if you tend to roll your ankles when you play, this isn’t the shoe for you. They also run small and narrow, so they are better for men with smaller feet. The Inferno have a non-marking rubber outsole, but the traction isn’t as high on indoor courts. These shoes are better for playing on concrete. Despite a few flaws in the design, the Champion Men’s Inferno is a durable basketball shoe that fits into any budget. An Adidas model makes our list again for its unique foot support in the Adidas Performance Men’s Cloudfoam Ilation Mid Basketball Shoe. This mid-top basketball shoe relies on air mesh and cloudfoam to make it one of the most comfortable basketball shoes on the market. With a leather and fabric upper, your feet can breathe on the court. The collar, tongue, and rear heel are reinforced with air mesh, providing extra comfort. The cloudfoam insole and midsole cushion your stride and make the shoe extremely comfortable and lightweight. The Adidas Performance Men’s Cloudfoam Ilation Mid Basketball Shoe has a durable rubber outsole with excellent traction for any court. There have been some complaints that the sole separates from the upper with consistent daily use, so this model would be better for the occasional player. They do run large with a roomy toe box; if you like a tighter fit, you should order a size down from your regular athletic shoe. Much like the Crazy Bounce, the Adidas Performance Men’s Cloudfoam Ilation Mid Basketball Shoe only has some select sizes and colors available for under $50, but their comfort and rugged outsole make them a great budget-friendly sports shoe. AND1 is a relatively new company in comparison to their competitors, but they manufacture basketball shoes and other athletic wear. The company sponsors several NBA athletes as well as high school teams. Since the 1990s, AND1 has created athletic wear that is stylish and budget-friendly. With a synthetic upper for breathability, the high-top AND1 Men’s Xcelerate Basketball Shoe has a Duraspring midsole for bounceback and shock absorption. The shoes also provide more balance during your game, with a 3D TPU shank in the sole. There is little arch support in the insole, so they are better for players with flat feet. They run large and narrow, so you may have to order up from your regular size. The AND1 Men’s Xcelerate does have a mild break-in period, during which the shoe can heel bulky and heavy. Their non-marking rubber outsole doesn’t have as much traction as other models. If you play outdoors more often, you should choose another model. However, all of the available sizes and colors of the Xcelerate are available for under $50, so they are an excellent shoe for indoor players. Under Armour is one of the elite sports companies still in business today, and they are known for their superior (and expensive) active wear. The Under Armour Men’s Curry 3 Basketball Shoe measures 4.5” from the arch, with a mesh upper that makes the shoe light on your feet. A carbon shank in the sole keeps your stable on your feet, and the shock-absorbing Charged Cushioning technology in the insole gives excellent comfort and bounceback. 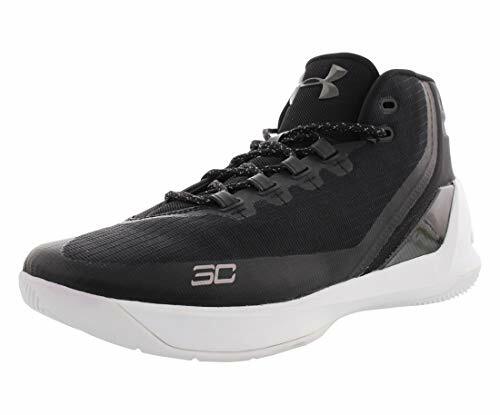 While the Men’s Curry 3 has multi-directional traction, the rubber outsole is softer; they are better for indoor courts because asphalt courts will wear down the tread faster. These shoes run small and narrow with a tight toe box. If you have wider or longer feet, make sure that you order a size up. 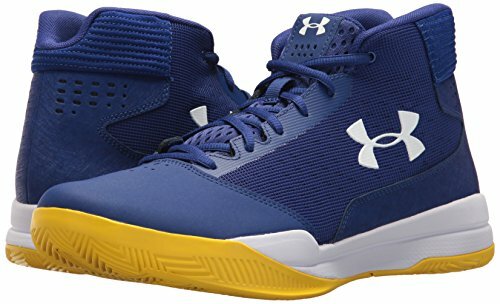 Although only select sizes and colors of the Under Armour Men’s Curry 3 Basketball Shoe are available for under $50, serious indoor players should take advantage of their lower price point. 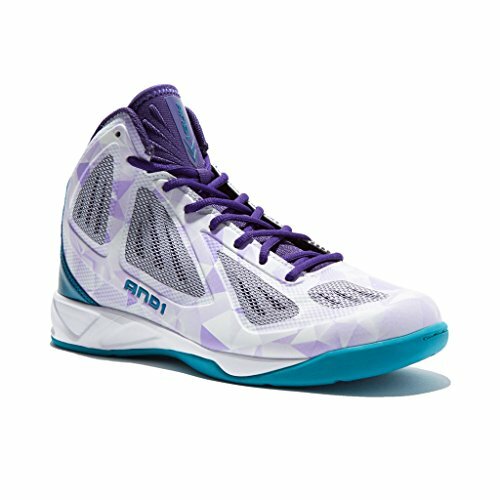 Another popular model from AND1 makes our list again as a budget-friendly ankle basketball shoe for the casual player. 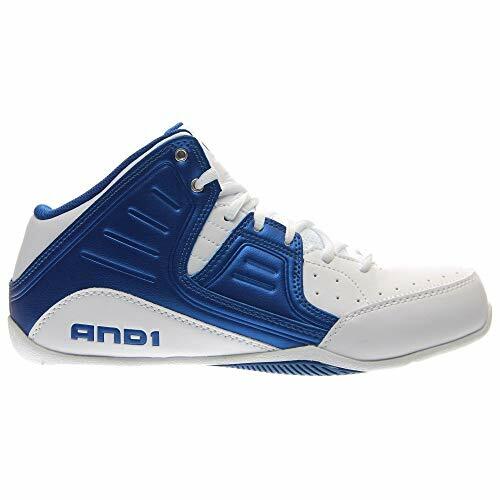 The AND1 Men’s Rocket 4.0 Basketball Shoe has a synthetic upper that protects your toes and the sides of your ankles. Even though the shoe has a low heel, it provides excellent heel and ankle support. A mesh padded tongue gives it more breathability so that your feet remain comfortable during the game. The cushioned insole gives ultimate comfort, but it is removable if you need a custom orthotic. The AND1 Men’s Rocket has a durable outsole suitable for indoor and outdoor play. The shoe runs narrow with a tight toe box; order a size up if you like more wiggle room in your shoes. There is a break-in period to get used to the bulkiness of the shoe and the feeling of the low heel. Since the Rocket has a shorter life span, falling apart between six months to a year of regular use, you may want to stock up on multiple pairs. If you are a flat-footed player, the Under Armour Men’s Jet 2017may be the ideal shoe for you. The breathable textile upper is matched with leather inlays above the toes and around the ankle for more stability. The best feature of the Jet is its foot support. The padded collar protects your ankle, and an EVA midsole has superior bounceback and balance. Flat-footed players will love the EVA foam insole: it molds to your foot, giving you the right cushion where you need it. The comfort of the Under Armour Men’s Jet is its hallmark. However, the shoe runs small and narrow, so you’ll most likely need a larger size, especially if you have a wider foot. The EVA insole doesn’t offer that much arch support, which is why players with less defined arches prefer them. Unfortunately, with this shoe, the leather inlays don’t protect the ankle like other shoes. There have been some quality issues, with reports that they fall apart within a year of constant use. Only certain sizes and colors are available for $50 or less; if you like the comfort it offers, you should invest in a backup pair. Nike got its start as a sports company, building its name around creating unique, quality footwear for athletes. 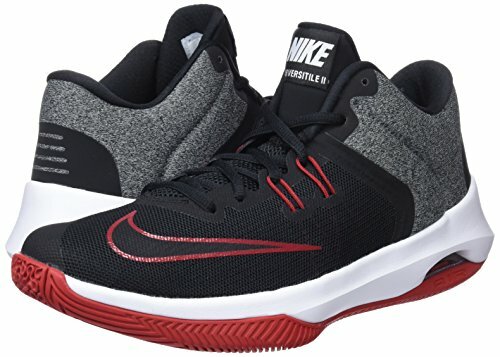 The Nike Men’s Air Versatile II Basketball Shoe is a supportive basketball shoe that keeps you secure on your feet. This mid-top shoe has a textile and synthetic leather upper to help your feet breathe during the game. The Air-Sole heel diffuses impact to prevent injury and pain, and a cushioned insole supports your entire foot. There are fly wires in the midsole to keep your feet stable throughout the varied movements of your playing technique. The Air Versatile has a rubber outsole with a herringbone pattern for the best traction on indoor or outdoor courts. Nikes are usually an expensive basketball shoe, but certain styles and colors of the Air Versatile are priced for less than $50. They run small and narrow, so keep in mind that you’ll need to order a larger size. There have been some minor reports that the shoe doesn’t hold up for more than a year with everyday wear. If you only play occasionally, such as weekly or monthly, they should last you much longer. The Air Versatile’s support, stability, and traction would make a valuable tool for any game. Just like any sports shoe, basketball shoes are an accessory that can improve your technique on the court. The best shoes will have a comfortable insole, a supportive midsole, and an outsole with excellent traction. Ankle support is always ideal to prevent injury if you play competitively. All of these qualities can be difficult to find in a budget-friendly shoe. 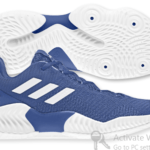 Of the shoes on this list, our choice for the best basketball shoe under $50 is the Adidas Performance Men’s Crazy Bounce. The shoe breathes well while offering your whole foot and ankle the stability and bounceback you need to play your best game. With the Crazy Bounce, you don’t have to sacrifice quality when buying on a limited budget.